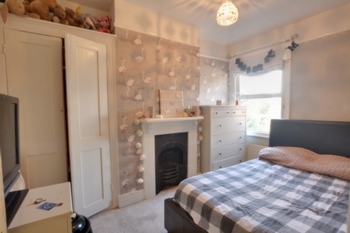 This substantial well-presented three double bedroom, two bathroom Period terraced property is located within Church Road Horley with excellent access to Horley train station, Gatwick Airport, M23 north and south bound, several excellent schools and a range of local amenities. The property has been well maintained over the years. The house makes an ideal family home for those needing to be close to multiple transport links, whilst being in a much sought after and convenient location. 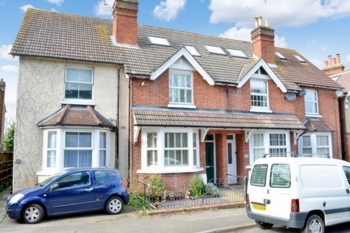 The property also features a generous rear garden and some internal Period features. 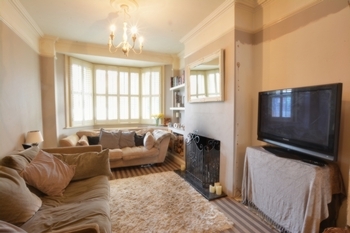 This home has so much to offer from its spacious rooms to its potential to make your own. This home has been all about its great location which is close to bars, restaurants and the station. The generous sized garden will be lovely for summer days enjoying BBQ's and al-fresco dining with friends and family. On entering the property you walk immediately in to the entrance hall which provides access to lounge and dining room. The front aspect bayed lounge sits to the front of the property which enjoys plenty of natural light and features an open feature fire with cast iron cradle and marble hearth. The dining room is part open plan to the lounge divided by an open arch way. 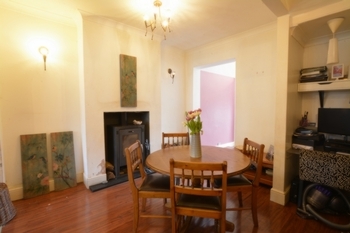 The dining room can cater for a six seater dining room table and chairs and features a Cast Iron Wood Burner. 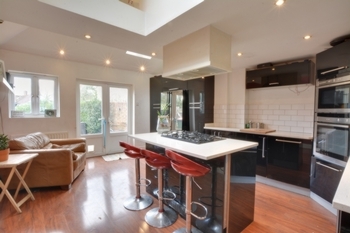 An opening leads nicely through to the superb kitchen/breakfast/family room. The kitchen is fitted with a range of base and eye level units with Central Island. Double opening doors leads out to the rear garden and a rear aspect window provides views of the garden. The first floor landing provides access to the beautiful bathroom suite, bedroom two and three with staircase to the second floor. The bathroom has been re fitted with a stunning three piece suite. 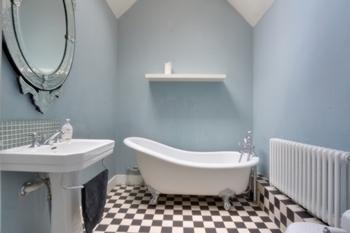 In keeping with the Period of the property there is a Victorian four footed free standing roll top bath, an oversized was hand basin and low level w/c set against a checked tiled floor. 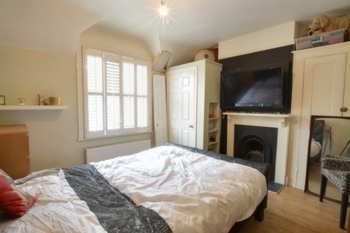 Bedroom two can comfortably cater for a king size bed and benefits a double wardrobe and feature fireplace. 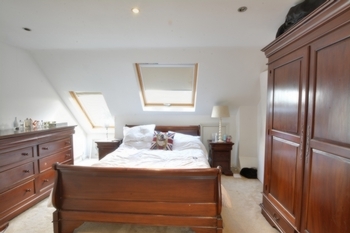 Bedroom three is a generous double bedroom with a double wardrobe and feature fireplace. The master bedroom suite is located on the second floor which benefits from an en-suite shower room with w/c and wash and basin. The rear garden is real feature to the property. There is a wooden decked seating area which leads onto a level lawn. 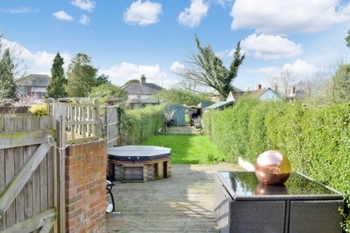 To the rear of the garden there is a further wooden decked area and timber shed and a side gate provides access. The garden is enclosed with mature hedgerow providing a good level of seclusion and privacy.